OnTimeSupplies.com, a leading office supplies and office furniture retailer, reports an increase in sales of do-it-yourself office products such as presentation binders, marking a shift from more expensive custom-printed items during tough times. Presentation binders and other “do-it-yourself” office products from Avery, Wilson Jones, Acco Brands and Universal have enjoyed renewed interest during the last quarter, according to leading Atlanta-based online office supplies retailer, OnTimeSupplies.com. View binders (commonly known as presentation binders) allow customers to easily print their own covers and other meeting or presentation information from any desktop printer, adding flexibility as well as time and cost savings. According to the company, this flexibility and lower output cost has been a convincing reason for companies to move towards do-it-yourself office solutions. Many of these companies in the past have relied on custom imprinted binders, which require a much longer lead time and are far more costly. The trend goes far beyond binders. Sales of inkjet and laserjet labels from Avery and many other popular brands such as Universal have also seen sales increases. For more information, visit our section on Presentation binders and view binders. 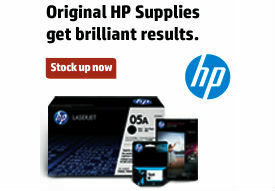 OnTimeSupplies.com sells office supplies, office furniture, school supplies, toner, file cabinets and everything else needed for your office. We ship same day via UPS and reach the majority of our customers in 1-2 business days.